Stand and system, joined in holy matrimony. 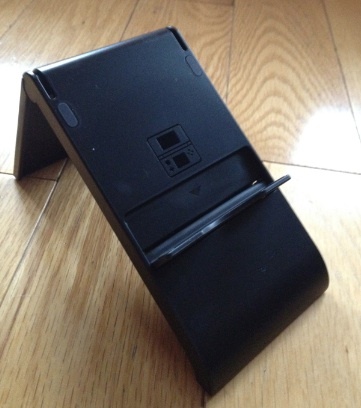 It's a well-known fact that Kid Icarus: Uprising comes with a bundled plastic stand to better assist players who don't have the arm strength necessary to hold their 3DS systems with one hand. 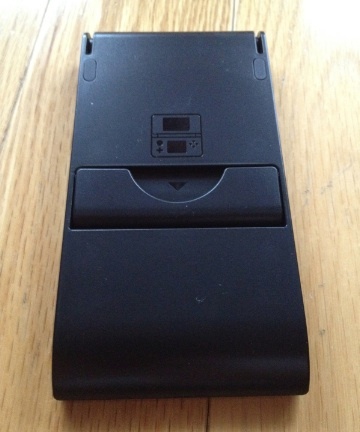 Up to this point, we've seen Nintendo's pictures, and now we're proud to present some images we took around the house. 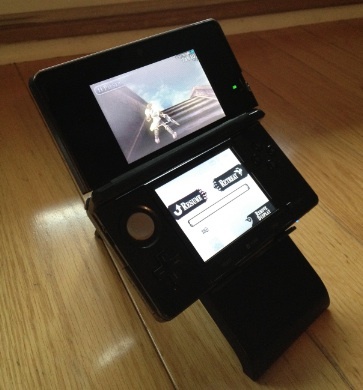 We've yet to use the little guy, so we cannot comment on whether it makes Kid Icarus easier to play. 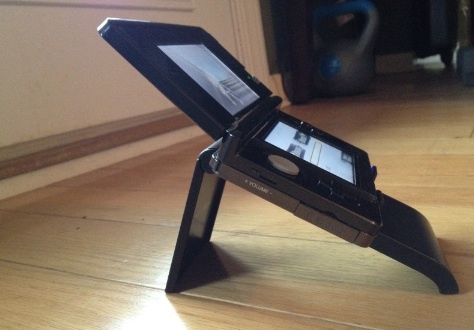 At least on the positive side, it's so thin it doesn't get in the way, and collapses with little effort. Kid Icarus: Uprising hits shelves March 23.